EZ Street cold asphalt. EZ Street cold patch can be poured directly into the water. It actually displaces the water. The 50 lb of cold patch shown in the video and photos makes the job even easier. It's easy to carry and you can simply lay it on the ground next the pothole and open it up with your shovel. 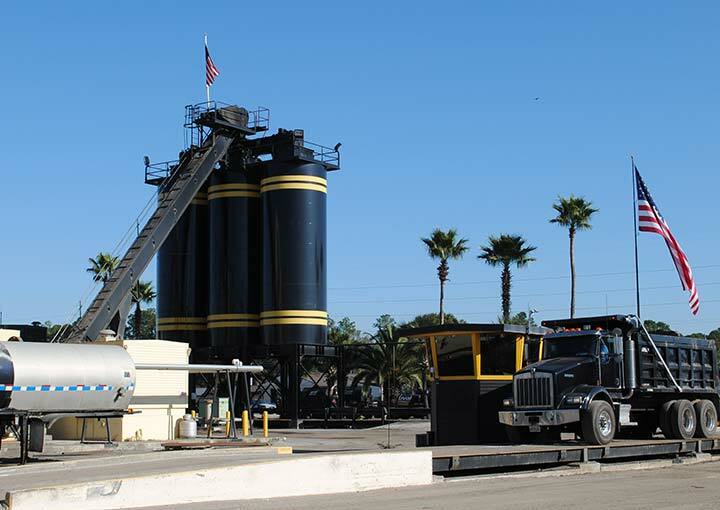 It is recommended that your sweep out loose debris from the pothole to give the cold mix a more solid base, but it is not necessary to remove the any of the water. 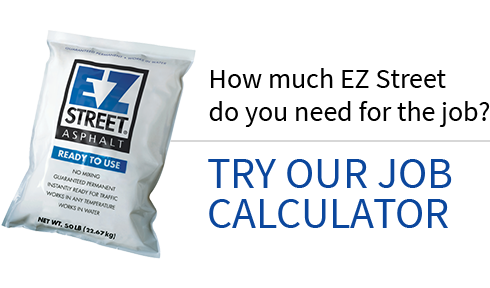 Once the EZ Street cold mix is in the pothole, compact using a hand tamper or vehicle tire. In this case, we did both. After tamping down the cold patch, we backed over it a few times with the truck. Note that EZ Street cold asphalt is immediately ready for traffic. It won't stick to vehicle tires or your shoes, but it will stick to the surrounding pavement and form a permanent patch repair.